Sponsor talks in March, June, September, and November by specialists on a wide spectrum of interesting subjects. The talks are held at Rutgers University Snyder Research and Extension Farm, 140 Locust Grove Road, Pittstown, NJ 08867. Programs begin at 7:30 pm, last one hour, and have a Q and A session. Admission is free. Placed signage in the 1837 one-room schoolhouse on the grounds of Franklin Township School and open the building each year after the Fire Company’s Memorial Day services so interested parties can view the interior and learn the building’s history. Awarded contract by Franklin Township to provide a detailed, and indexed, inventory of all property owned by the township, county, and state that is used for passive and active recreation, open space, preserved farmland, school use, affordable housing, conservation-restricted easements, and township administrative use. The 203-page report and 13-page index also recommends parcels for various future uses and includes the required annual Open Space Inventory for the county and Recreation and Open Space Inventory for the state. The report includes maps and photographs of some properties and contracts with farmers for crops on selected township-owned land. Initiated the listing of Quakertown and Pittstown on the New Jersey State and National Registers of Historic Places. Created a film, Passing Glances: Franklin Township, 150 Years, narrated by the late New Jersey Superior Court Judge John W. Fritz. The original video is now converted to a 13-minute DVD that may be viewed here. Preserved a 600-pound Lenni Lenape stone mortar found in a tributary of the Capoolong Creek. The artifact, estimated to date from 4,000 to 2,000 B.C., is now on display in the Teaching Garden of Rutgers’ Snyder Research and Extension Farm, 140 Locust Grove Road, Pittstown. Conducted tours of historic houses in Franklin Township 1982-1990, 2008, 2010. 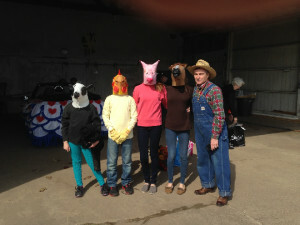 Conducted a bus tour in September 2011 showcasing the diverse farming in Franklin. The tour crisscrossed the Township, highlighting the operations of several farms and stopping at four of them. Visits included Stone Corner Farm and its alpacas; the preserved 160-acre Tri-Dale Farm, home base for one of Franklin’s youngest farmers and his fleet of trucks and massive farming equipment; Deo Volente Farms, a premier equine breeding facility on 110 preserved acres; and the preserved 150-acre Peterson Farm, a crop and vegetable farm that features pick-your-own strawberries, cut-your-own Christmas trees, and also grows corn and runs a small herd of Black Angus steers. 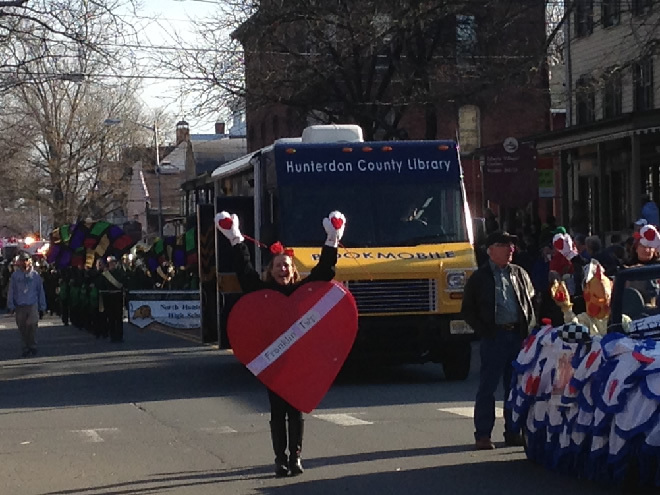 In 2014, coordinated Franklin Township’s entry for the Hunterdon County Tricentennial Parade. 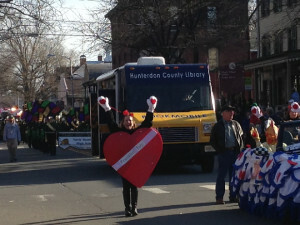 The theme was ‘Franklin is the Heart of Hunterdon’. 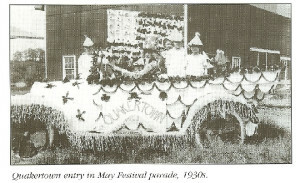 A ‘dress’ was designed for a Mini Morris car to recreate an entry in a 1930’s May Day parade in Quakertown. To celebrate our township’s agricultural heritage, the car’s owner/driver was dressed as a farmer and was accompanied by local teens masquerading as a chicken, a horse, a pig, and a cow. 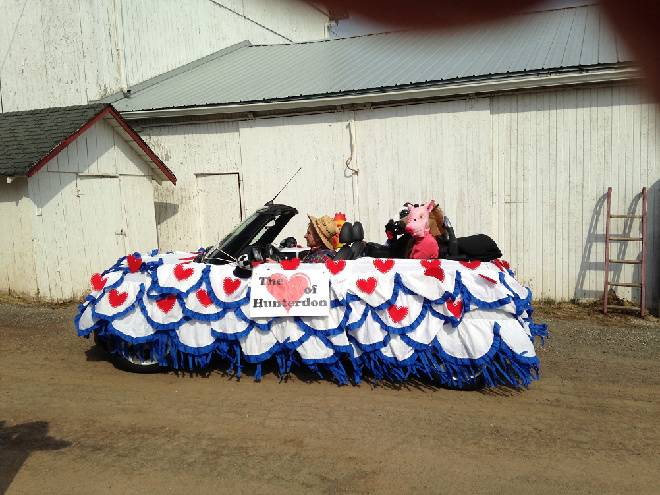 Two Rural Awareness Friends, garbed as hearts, cheered on the parade watchers. Sponsored the August Knispel Monument unveiling on the lawn at the Municipal Building, August 2006. Traditionally host Candidates’ Nights before Township elections. Hosted Colonial Christmas Concerts in December of 2007 and 2008 in Quakertown. Raffled a Dan Campanelli framed print, Wash Day ©, to benefit a food pantry at the Quakertown United Methodist Church. Assembled a listing of Franklin Township farms selling homegrown produce, meat, flowers and herbs directly to the consumer.